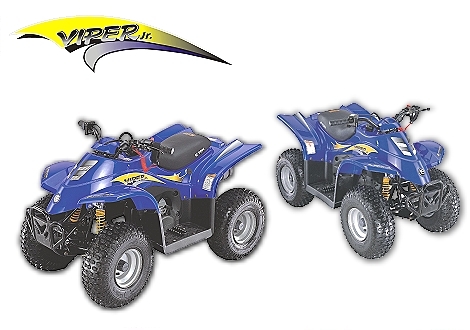 Viper 40E was designed for the young ATV rider with smaller control levers for those smaller hands. A slower speed for easy handling and a seat height and handlebars designed with the beginner in mind. Viper 40E's ease of handling and supervisory control makes this the ATV for the first timer. The Viper 40E. makes it very easy to learn the safe handling of an ATV vehicle. Designed after its bigger brothers, 40E. has all the sporty body styling of the 50 and 90 models so your young rider won't feel left out of the fun.